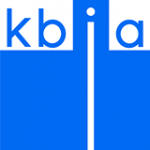 KBIA Radio is a both online and one air radio centre broadcast from Columbia, USA. Since 1972, KBIA has served mid-Missouri with the best in public radio service. KBIA Radio is now on the air at 91.3 FM in mid-Missouri and 89.7 FM in Kirksville, and streaming online worldwide, seven days a week, 24 hours a day to its listeners and members. KBIA provides the best in NPR news, information, and arts and entertainment programming to this growing and vibrant area. Since 1972, KBIA has served mid-Missouri with the best in public radio service. KBIA is now on the air at 91.3 FM in mid-Missouri and 89.7 FM in Kirksville, and streaming online worldwide, seven days a week, 24 hours a day to its listeners and members. KBIA is a University-licensed, community-supported not-for-profit institution, actively involved in the life of the mid-Missouri area. The station is the area’s largest provider of arts programming, serving more than 30,000 listeners and members each week, and is today one of the few remaining providers of local news. KBIA provides the best in NPR news, information, and arts and entertainment programming to this growing and vibrant area. KBIA’s mission is to inform, engage, and uplift the communities we serve by providing content of significance, depth, diversity, vibrancy, and integrity.